In a Nutshell: Product reviews help consumers make informed purchases, but figuring out which reviews are trustworthy can be challenging. ReviewMeta makes the task easier by identifying unreliable reviews and calculating an adjusted product rating based on its in-house analysis. The service uses 15 tests to examine whether a reviewer purchased the product, positively reviewed only one brand, or exhibits other characteristics indicating an unnatural rating. ReviewMeta is free and helps consumers get the maximum value for their money by promoting open access to legitimate consumer information. Tommy Noonan started SupplementReviews.com in 2006 with the goal of bringing crowdsourced reviews to consumers of health supplements. But Noonan quickly found that illegitimate product ratings were undermining his site. Sometimes, he said he would see a manufacturer’s employees submit biased reviews. Or other brands would hire writers to positively review their supplements or send free samples to consumers and ask them to write reviews — which would often lead to more favorable ratings. These practices weren’t limited to SupplementReviews.com; illegitimate evaluations can be found on many sites that host product reviews and ratings. But Noonan’s adventure with manufactured reviews took on a new life when one of his followers asked him to investigate a product on Amazon.com. Noonan read all 580 reviews and found that the first 20 reviewers had only evaluated supplements by the same brand and had given them all five-star ratings. Dozens of other reviewers admitted to never having used the product but still gave it five stars. That’s when Noonan came up with the idea for ReviewMeta, a tool to help consumers separate the authentic reviews from the unnatural ones. 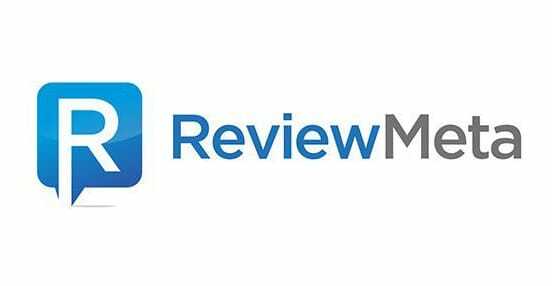 He created ReviewMeta to automatically analyze product reviews on Amazon.com and other international sites, identify suspicious reviews, and provide users with a more accurate product rating. The service is free to use on ReviewMeta.com, as a browser extension, or on a mobile device. With ReviewMeta, consumers can avoid purchasing fraudulent or low-quality products and get the most value for their hard-earned money. ReviewMeta started as a tool for use on BodyBuilding.com and expanded into Amazon’s retail sites. Although Noonan still maintains functionality for BodyBuilding.com, ReviewMeta is most widely used on Amazon sites throughout the world. The service doesn’t partner with any brand or retailer allowing it to remain independent and unbiased. By objectively adjusting overall ratings, ReviewMeta helps consumers gain more accurate insights into products. It accomplishes this by weighting unnatural reviews accordingly. A natural review is one posted by a consumer who has used the product and has an opinion on its functionality and value. ReviewMeta recognizes the identifiable patterns these reviews have. They are identified as most likely legitimate and are given full weight in adjusted product ratings. Unnatural reviews also exhibit patterns that indicate, among other things, that the reviews were written by someone who has never used the product, an employee of the company, or a writer paid to post a positive review. These suspicious reviews are devalued — but usually not discarded entirely — when ReviewMeta returns an adjusted product score. ReviewMeta’s reports on the authenticity of product reviews help consumers make more informed decisions. ReviewMeta assigns a pass-fail grade to each of those scores. A product fails ReviewMeta’s analysis if its adjusted rating is significantly lower than the unadjusted rating. This occurs when suspicious or unnatural patterns are identified in a large portion of product evaluations. Because ReviewMeta is meant to be a tool and not a deciding factor, the service gives users detailed reports each time they use it to analyze. That provides transparency and allows the consumer to see how reviews are evaluated. It also educates the consumer by helping them develop a critical eye for suspicious reviews. Shoppers can use ReviewMeta in two ways. One, they can copy a product URL and paste it into the box on ReviewMeta.com’s homepage. They can also install the ReviewMeta browser extension. The extension is available for Google Chrome, Mozilla Firefox, and Microsoft Edge, and it is forthcoming for Apple Safari. Mobile users can add a bookmark to their browser. 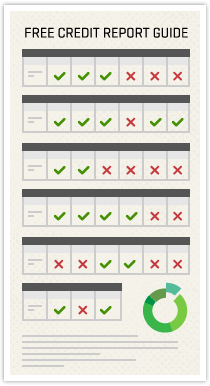 When looking at a product, they open the bookmark and run ReviewMeta to get a full analysis of its reviews. 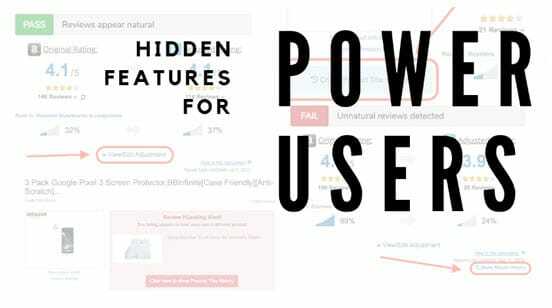 ReviewMeta’s algorithm examines every review for a particular product, as it searches for the presence of 15 different patterns that indicate a review may be unnatural, less than trustworthy, or even deliberately misleading. One of ReviewMeta’s basic tests is whether the reviewer is a verified purchaser. This test divides product reviews into two categories: those written by consumers who purchased the product through Amazon and those who haven’t. However, just because a purchaser is unverified doesn’t mean the review is illegitimate. Unverified purchasers may have bought a product from another retailer and then left a review on Amazon. That’s why ReviewMeta’s other tests look for other red flags that can indicate an unnatural review. Other tests include if reviews are posted on the same day and the review history of each account. These are tests that initially took Noonan hours to perform manually, but his technology now completes these tasks in minutes. Noonan said that culling unnatural reviews often doesn’t change a product’s rating because they don’t necessarily indicate a low-quality product. There may be many questionable five-star reviews, but a product may also have just as many legitimate five-star ratings as well. And ReviewMeta’s adjusted product ratings are based on existing customer reviews. The service does not adjust a product’s rating based on the number of unnatural reviews detected. One thing ReviewMeta doesn’t account for is human subjectivity. For example, when two people read the same book, one may love it, and the other may hate it for purely personal but well-founded reasons. ReviewMeta is meant to help people evaluate products rated on performance. “Something like headphones — it either works, or it doesn’t,” Noonan said. Do the headphones cancel noise effectively? Do they fit comfortably? Do they provide excellent sound quality? Questions like these can be answered with a simple ‘yes’ or no,’ and the product can be rated based on functionality and quality. The blog covers not only best practices and tips for using ReviewMeta, but also general information for consumers to consider when making a purchase. But even when using analysis and sound judgment, consumers can still end up making a bad purchase. That’s why ReviewMeta’s blog offers tips to help consumers protect themselves when shopping online. Foremost among these strategies is to return the product for a refund. In cases when a product fails to perform as advertised or reviewed, the buyer should also leave an honest review and a fair rating. By providing genuine feedback about their experiences, they can alert other consumers to potential pitfalls. Finally, if a product is falsely advertised or reviewed, consumers should file a report with Amazon. On each product page, they’ll find a link that allows them to report incorrect product information. Likewise, they can flag individual reviews as suspicious or misleading, allowing the retailer to address the problem and help other consumers avoid similar trouble. When Noonan began working on ReviewMeta after seeing the rampant illegitimate reviews on his supplement reviews website, he worked with developers to get it online, functioning, and running smoothly. Since 2015, he has been running the company solo. The banner ads on ReviewMeta.com help pay for server space and operating costs, and they provide a little extra income for Noonan. But he gives users the option of hiding ads with the click of a button. Some users have encouraged Noonan to accept donations for the service. But rather than donate to ReviewMeta, Noonan would prefer they use their effort and money in different ways. First, he encourages satisfied users to share links to ReviewMeta on Facebook, Twitter, and other social media platforms. Second, as a supporter of personal freedom and open access to information, Noonan encourages donations to organizations supporting these ideals. In this spirit, ReviewMeta.com directs users to the donation pages of the Committee to Protect Journalists and to the American Civil Liberties Union.